As a mother of 4, I’ve learned how to prevent the stomach flu. The stomach flu used to have a domino effect in my home, taking one victim after another. Not anymore! Learn how to arm yourselves and fight back. A friend recently had the stomach flu invade her home, taking her 4 year old son captive. Their dinner party was abruptly ended when he threw up all over the dinner table – yikes! I’m sure you have a horror story to tell too. Here’s how I have beaten down the lurking stomach flu from invading our home. I avoided the stomach flu several times by drinking 3 glasses of grape juice per day before the onset of symptoms. 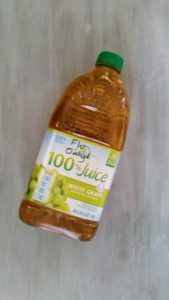 Just make sure it is 100% grape juice – no juice cocktail. I’ve seen tutorials picturing purple grape juice. That just screams big purple mess to me (that is if you are too late in preventing the stomach flu and everyone gets sick). Put white grape juice on your grocery list right now! We keep a bottle on hand labeled “stomach flu” with a sharpie! You will not have time to run to the store once one of your kids starts puking. 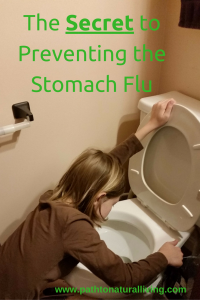 This is the easiest way to prevent the stomach flu with kids and it’s something the kids will actually take! Why does grape juice work in preventing the stomach flu? Grape juice alters the PH balance of your intestinal tract, making it hard for the stomach flu to take hold. Make sure to Wash those hands regularly. Keep your hands away from your nose, eyes and mouth. Yes it is obvious – yet very effective in prevention. Hand washing is a great preventative measure! Use a safer all purpose cleaner to kill those germs. 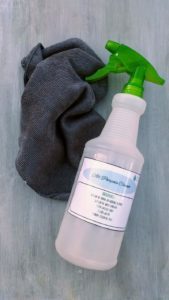 Get my FREE All Purpose Cleaning Recipe & Label. It’s super simple to whip up. If nausea and vomiting have already started – this method will not work. Keep reading… there is still hope! Probiotics are good bacteria that line your digestive track to keep the looming stomach flu out! Take probiotics immediately once someone in the house is sick – and keep taking it several times per day until the storm has passed (typically two weeks). My kids take a probiotic too – my kids love these. I take these. Drink 1 tsp of apple cider vinegar in a small cup of water – add some honey to taste. Apple cider vinegar makes your body alkaline instead of acidic. An alkaline body is an environment where the stomach flu (or any virus) cannot survive. Unpasteurized Apple Cider vinegar with the “mother” is essential. Pasteurization kills all the good stuff. I buy the Bragg brand, Heinz has an unpasteurized line too. I recently read cinnamon is great for combating the stomach flu. 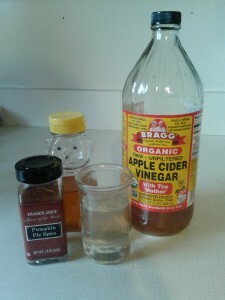 I added a few sprinkles of a pumpkin pie spice (which is mostly cinnamon) to my cider vinegar cocktail. 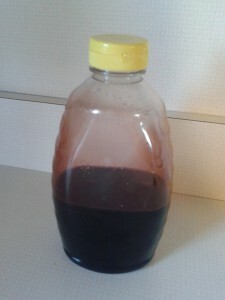 Elderberry syrup boosts your immune system to destroy the stomach flu. I take it 1 tablespoon several times a day while the stomach flu is active in my home. 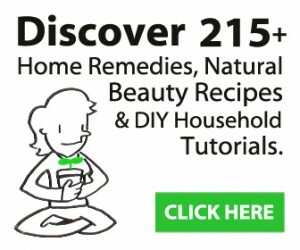 I make my own elderberry syrup – it’s simple and cost effective. Don’t have time to make some? You can buy it here. 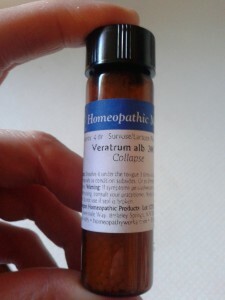 Veratrum Alb and Arsenicum Album are homeopathic remedies related to stomach upset. Take it in conjunction with the above methods at the first sign of stomach illness. It helps alleviate symptoms faster if you have the stomach flu. Take homeopathic remedies without any food or water 10 minutes before and 10 minutes after. DigestZen is a great blend of essential oils for general tummy trouble. Rub it directly onto the stomach for relief from acid reflux and upset stomachs. 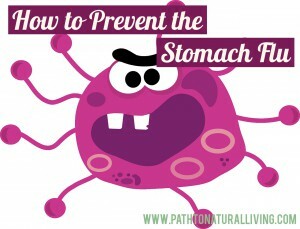 It will not prevent the stomach flu – it will help with symptoms of the stomach flu. Homepathic remedies and essential oils can counteract each other -space them out an hour apart. I’ve read that activated charcoal can help prevent and shorten the symptoms of the stomach flu. I don’t have any personal experience with using activated charcoal for the stomach flu. It’s taken when poison is ingested and works well for that reason. It makes complete sense why it would help with the stomach flu. Activated charcoal helped me with general stomach upset and bloating. Word of caution: if you take activated charcoal, it flushes everything through your system, so you will not get nutrients from any food in your system for a few hours before and after taking the activated charcoal. If you do contract the stomach flu or someone else in your house does, here are some other remedies to help lessen your symptoms. How have you combated the stomach flu? Share with your friends so they will be armed and ready against the stomach flu too! Very nice post. I hate the stomach flu. I don’t have kids, but thanks for the class. I wish I could have found this sooner. It would have been even more helpful a few weeks ago. Nice you have home remedies too. I will definitely try this. Thanks for the new information. Alex hopefully this can help you next time! Thanks for this article. I did not know about most of them. I absolutely hate the stomach flu and especially when my son gets it. I will definitely be trying some of your recommendations the next time it arrives in my house or we have been somewhere that other people have had it. The grape juice remedy is an interesting one. I’d never heard of that before. Probiotics I knew about. I guess yogurt with live cultures would work. As for elderberry…where can you get that? I’ve heard about it before but never actually tried it…so I’m curious about this one. Also, what is activated charcoal? Yes yogurt with live cultures also works. These are tips I’ve never heard before.. well, other than washing your hands, which is very very important. I almost never get sick myself, it’s so weird. Once every couple years I’ll catch something, but compared to most people that’s almost NEVER. I think it’s because of how I make sure to keep my hands as germ free as I can. I have some apple cider vinegar in the house that I use for beauty reasons, but I should start drinking some too with water. 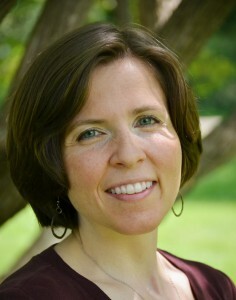 Hi Kathe, thanks for stopping by! Great question, the stomach flu is caused by a highly contagious virus. In my research I discovered you are contagious once symptoms appear and up to three weeks after having it. I hope you are able to avoid it with your little guy, it is no fun. I did not know grape juice was effective in treating stomach flu but how do you consume it, like three glasses one after the other or three glasses throughout the day.I really like the methods you have suggested here but the apple juice one was new to me because I have never tried it before. I drink it spread out during the day. Probably a few glasses of grape juice initially once I know we’ve been exposed. It has to be 100% grape juice, no apple juice. I was a disbeliever until I tried it. It really works! I have been using this trick for three years. I have worked in a preschool and elementary schools. For the last 2 years it has worked like a charm. I am on year 3 and my whole class basically has the bug! Drinking the 3 glasses a day can be annoying but if it helps keep this disgusting bug away I WILL DO ANYTHING! I still am amazed it works too! So glad to hear your success!!! I agree I will do just about anything to prevent the stomach flu. Here’s to another healthy year! Do you only use the once you have been exposed, or do you use some(or all) of these on a regular basis? I only do the grape juice once we been exposed. But many of these are great to do on a regular basis to keep the immune system strong – like probiotics.